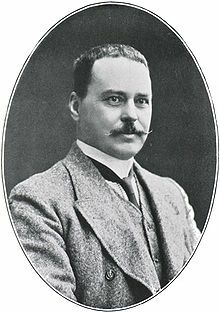 World Mosquito Day, observed annually on 20 August, is a commemoration of British doctor Sir Ronald Ross's discovery in 1897 that female mosquitoes transmit malaria between humans. Ross is responsible for the annual observance, having declared shortly after his discovery that the day should be known as World Mosquito Day in the future. The London School of Hygiene & Tropical Medicine holds Mosquito Day celebrations every year, including events such as parties and exhibitions, a tradition dating back to as early as the 1930s. ^ a b "World Mosquito Day 2010". Department for International Development. 20 August 2010. Archived from the original on 21 November 2012. Retrieved 21 November 2012. ^ "Health and Science - Abuzz over malaria on World Mosquito Day". AlertNet. Retrieved 21 November 2012. This page was last edited on 2 June 2018, at 07:05 (UTC).